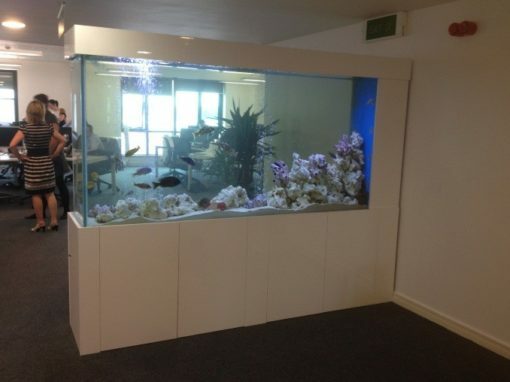 There is a long list of prestigious organisations that have used Aquarium Services at their premises in the over the last 25 years, and with good reason. 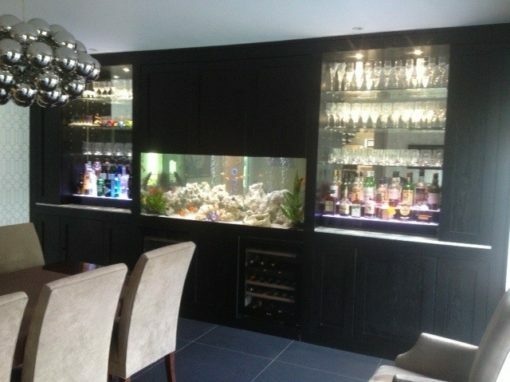 We are well known in the industry as being one of the leading and most knowledgeable corporate aquarium designers in the UK. 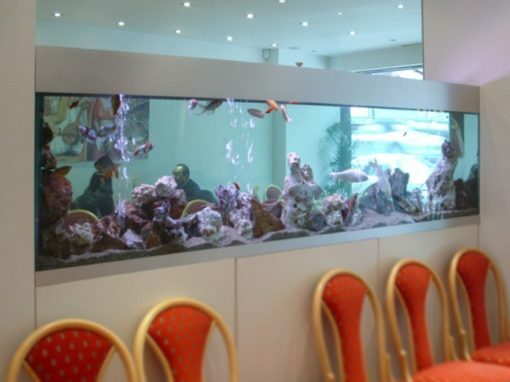 Aquarium Services have installed aquariums in a wide range of locations from schools and colleges, museums, offices, hotels and restaurants, exhibitions and TV studios to name but a few. 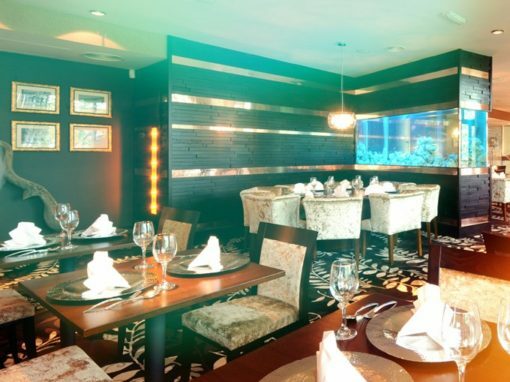 We work directly with end clients and their facilities management teams, as well as interior designers and architects. From initial enquiry to installation and beyond you will have one point of contact and a highly personal and friendly service. 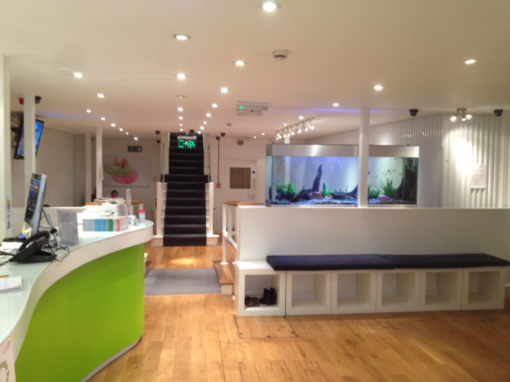 We regularly have repeat business from our commercial clients, with customer satisfaction being our main priority. 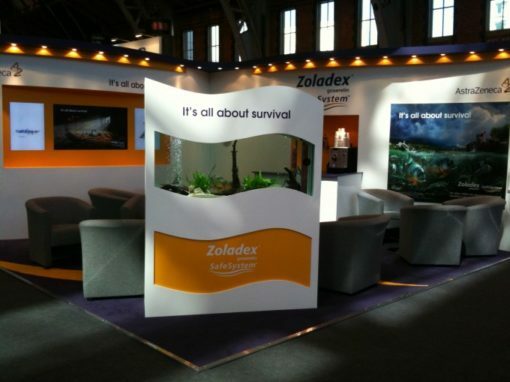 This hopefully this shines through in our many glowing corporate testimonials. 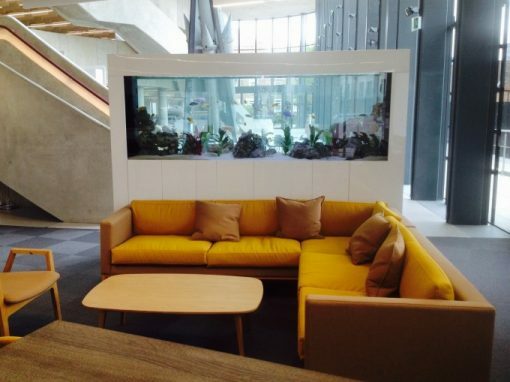 All of our bespoke aquariums are manufactured in the UK from the highest quality British float glass in thicknesses ranging from 6mm to 38mm and above depending on the overall dimensions. 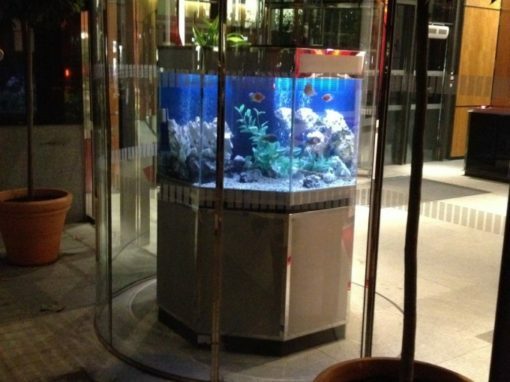 This ensures not only clarity but also the longevity of your aquarium. 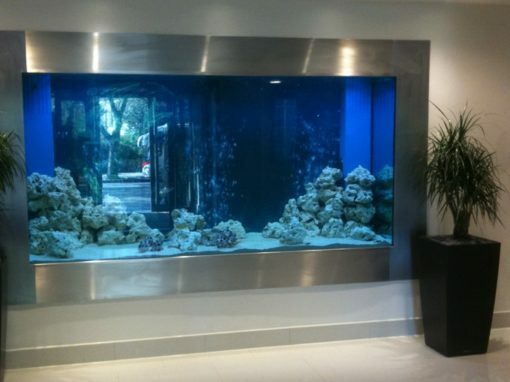 We are still servicing commercial aquariums which we installed over 20 years ago! 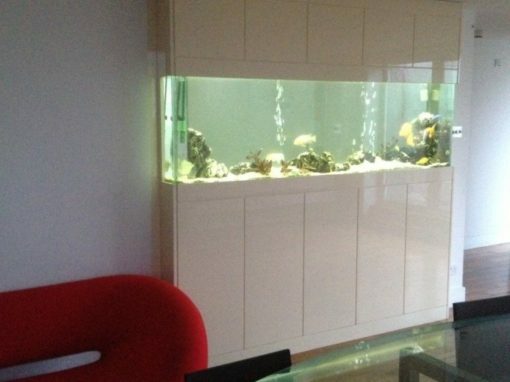 Fresh water aquarium which can be stocked with a wide range of fish. 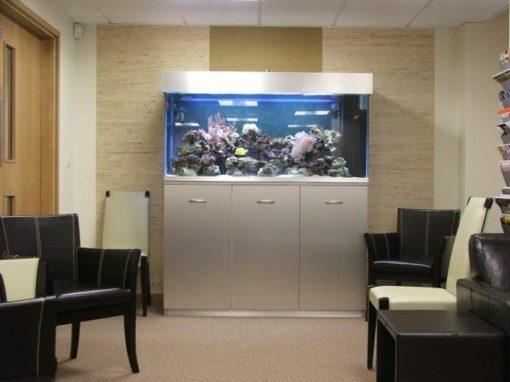 Approximately 90% of our commercial clients opt for a tropical aquarium. 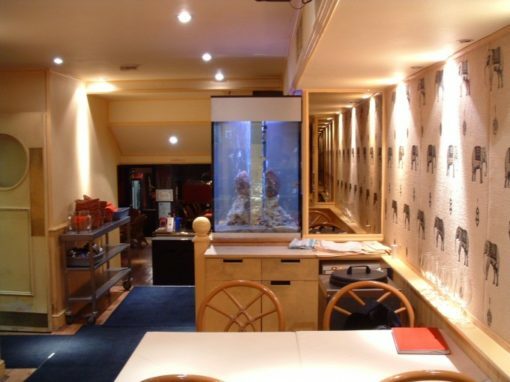 They require relatively low maintenance, can initially be filled with tap water which is then treated and warmed. 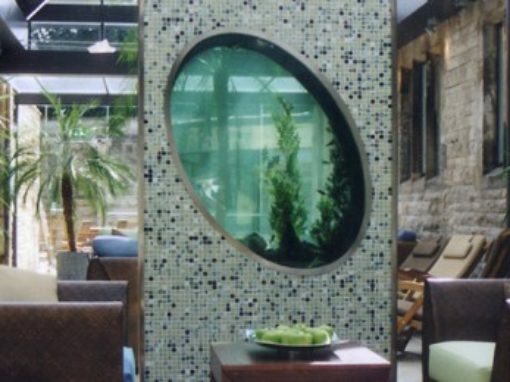 Tropical aquariums create a fantastic feature in any location. 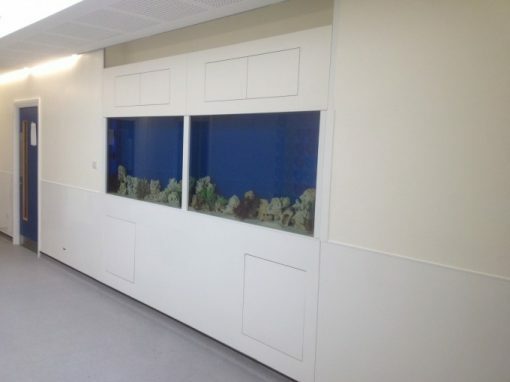 As one of the UK’s leading ‘In Wall Specialists’, Aquarium Services can advise and take on the most challenges when it comes to in-built fish tanks in commercial premises. 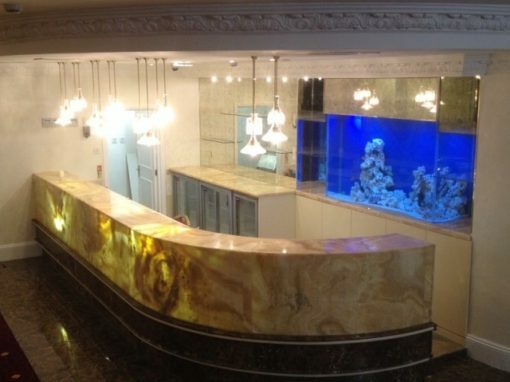 We have the specialist knowledge and vast experience to design stunning aquariums and fit them into the walls and cavities of your building. 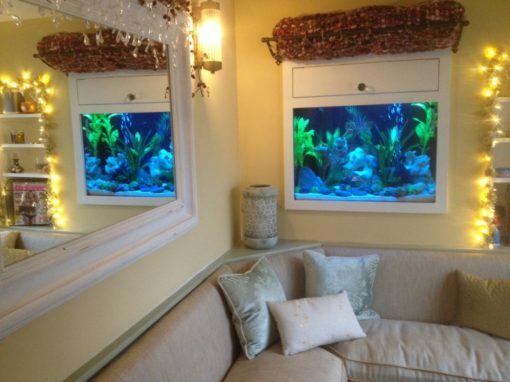 Also known as salt water aquariums, marine aquariums are often considered to be the ultimate in fishkeeping. 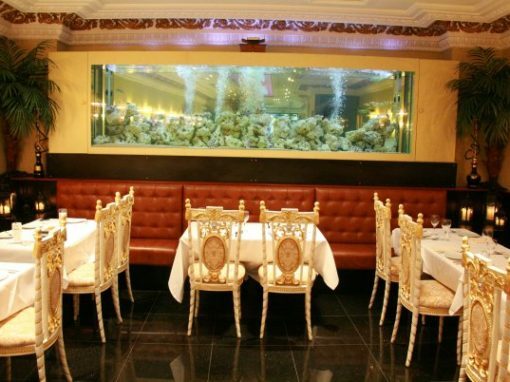 Being much more sensitive to changes in water quality than tropical fish, marine fish need very high quality water which usually means more regular maintenance. 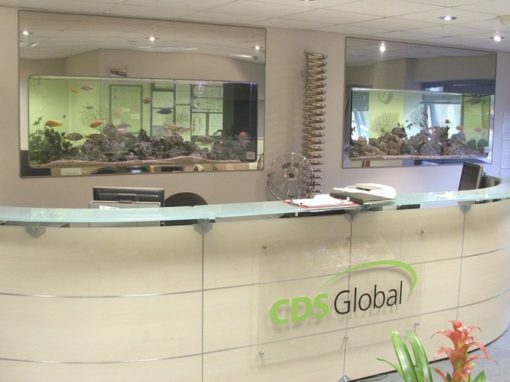 In order to fit your offices, retail space or exhibition stand perfectly, we manufacture custom free standing aquariums and fish tanks in many styles & shapes: standard rectangular, L shape, T shape and most non-standard shapes. 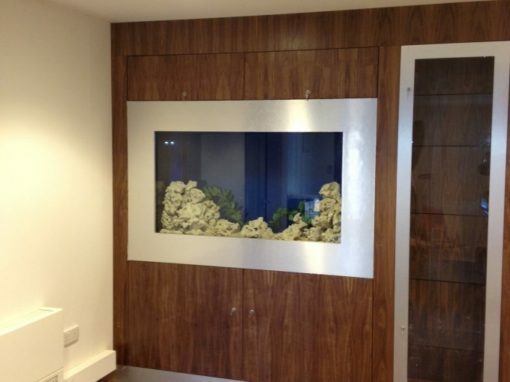 We also supply a wide range of ‘off the shelf’ aquariums to fit projects large or small.